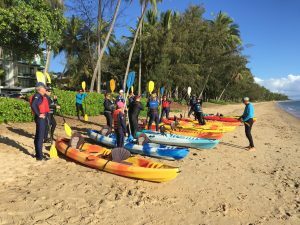 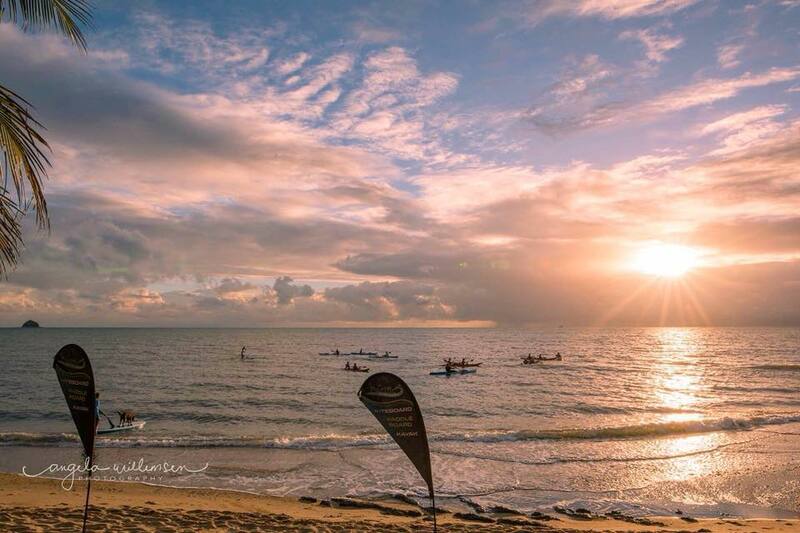 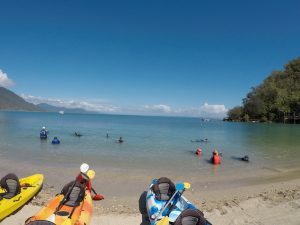 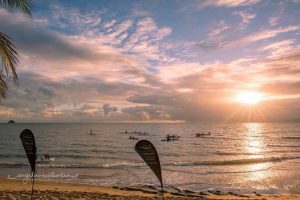 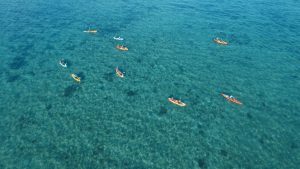 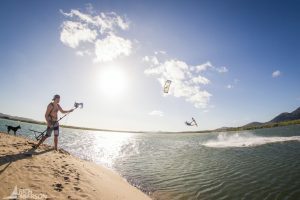 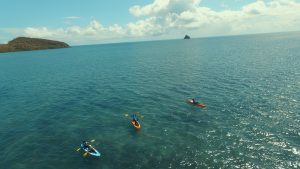 Here at Pacific Watersports, we offer a number of different tours and watersport activities for the whole family- Kayaking, Kitesurfing and Paddleboarding. 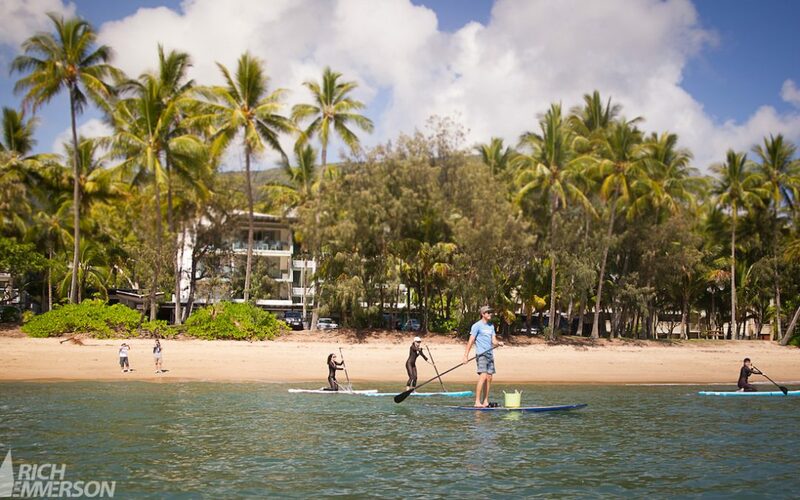 In our Kuranda Tours, we combine our love for nature and adventure, with our love for paddleboarding and bring you our Kuranda Rainforest Paddleboarding Adventure. 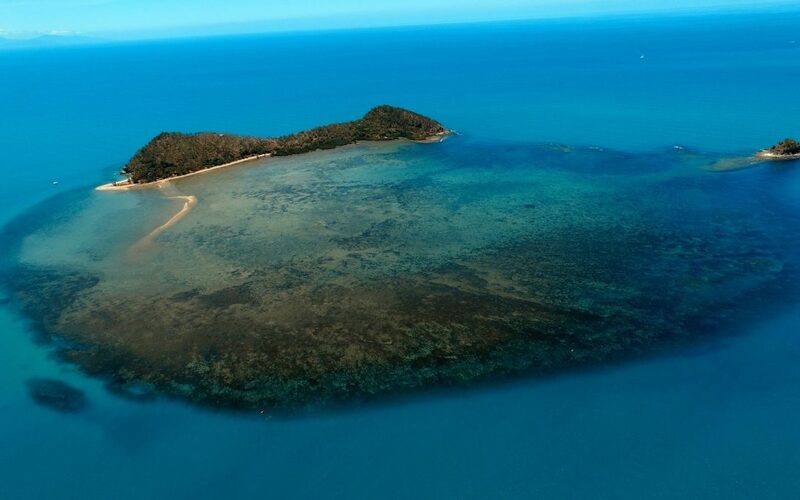 Whilst visiting the Cairns area, it is imperative that you spend some time in the Rainforest. 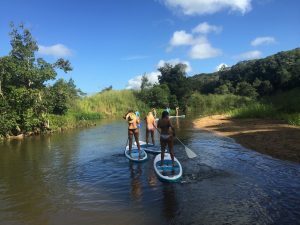 There are many beautiful Rainforest spots to explore across the region, one which lets us explore the rainforest whilst on a paddleboard! 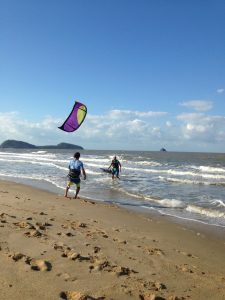 Kuranda is just a 30-minute drive from where we operate from in Palm Cove. 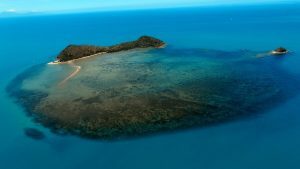 We offer a pickup service from anywhere on the Cairns Northern Beaches or Cairns City, so you don’t have to worry about getting lost in the Rainforest! 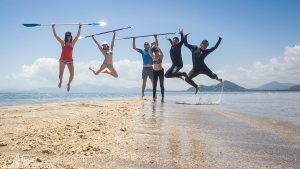 What can I expect from Kuranda Tours with Pacific Watersports? 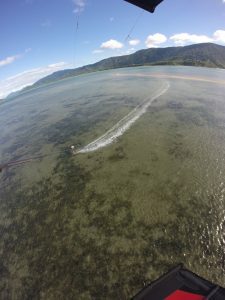 Our Kuranda Tours usually run in the afternoons and we start pickups usually at around 1 pm. 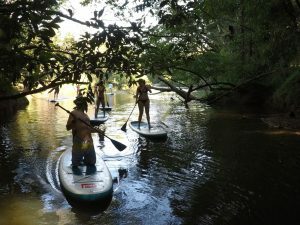 We get out on the water by 2pm and spend 2 – 2.5 hours cruising down the Upper Barron River, dropping everyone off again at around 5pm. 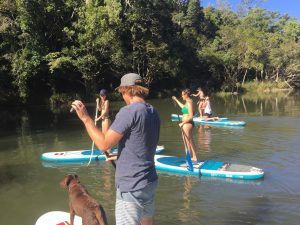 We begin our Kuranda Tours on the river bank with a brief ‘intro to paddleboarding lesson’ from one of our team. 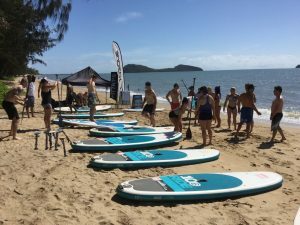 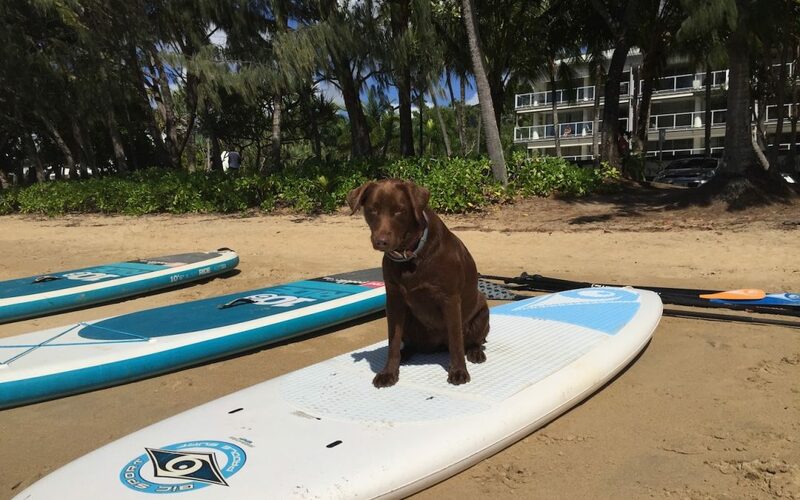 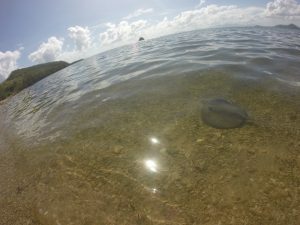 The intro lessons give complete beginners enough tips and pointers to get them started and offer some more techniques and pointers to people with some paddleboarding experience. 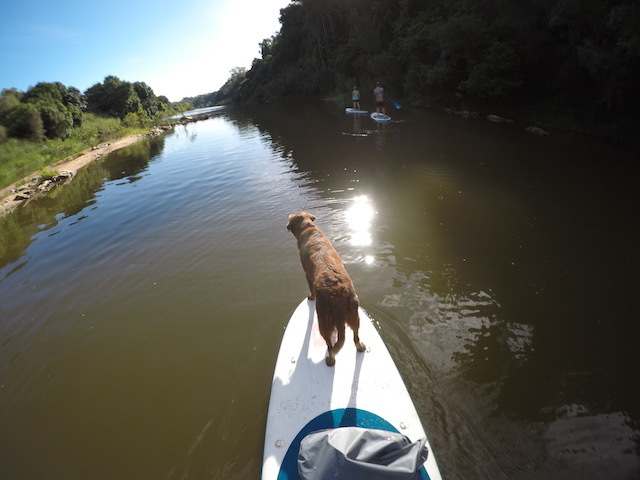 We then get out on the water, cruising downstream with the gentle flow on the river. 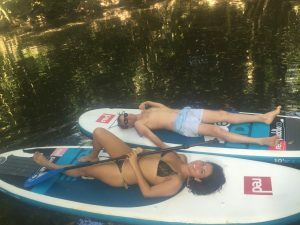 This makes the experience very relaxing, you don’t have to do very much! 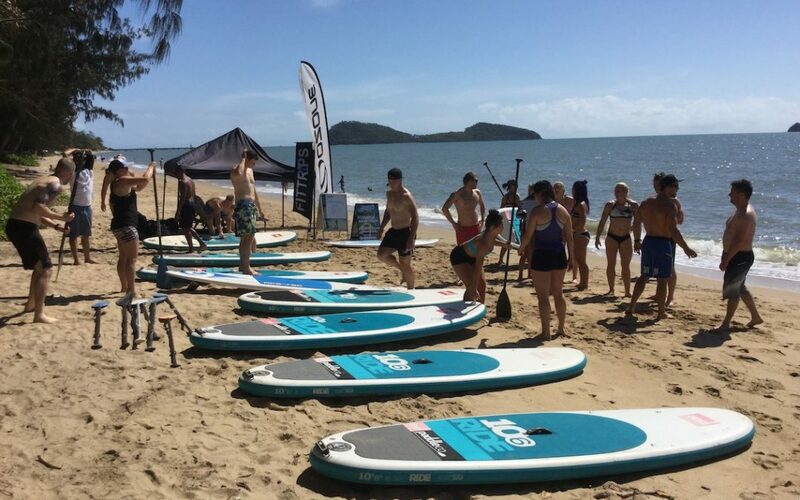 Some people think 2.5 hours paddleboarding would be exhausting… However, this isn’t the case. 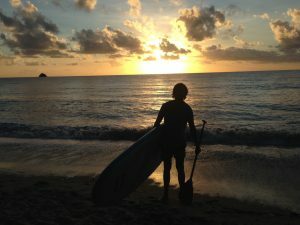 You can even sit down on your board and just go with the flow if you get tired. 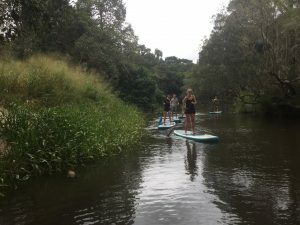 During the tour, we take a short diversion off of the main river and even deeper in the rainforest. 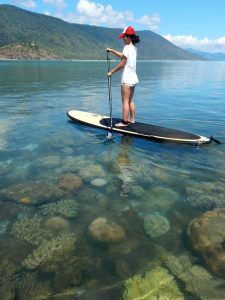 Here we usually take a few minutes of silence and sit on our boards in the midst of it, enjoying all of the sounds of nature. 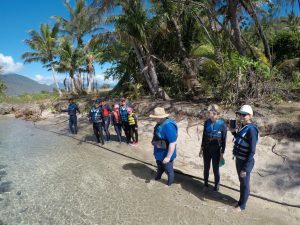 We also spend some time relaxing on the sandy river bank and have some drinks and snacks (provided by us) and cool of with a swim in the river. 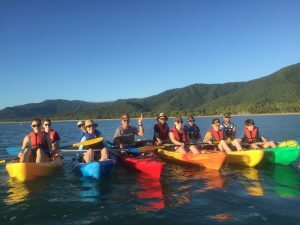 Kuranda Tours with Pacific Watersports really are perfect for the whole family.